Over the past few years, advice professionals have been criticised, lampooned, lambasted, harangued and bombarded with relentless pessimism. Compliance Professionals, for all their objectivity and detachment, have generally suffered in sympathy. Over the past few years, you’ve been warned by The Business about regulatory fatigue, endured their complaints about changing regulatory expectations and the lack of ‘skilled resources’ and been entertained by their view that too much time (and too many resources) were devoted to regulatory issues. We do not see any systematic manipulation of rules and regulations in order to benefit the earnings of the banks. That is our view. The reality proved to be quite different. The Royal Commission exposed significant misconduct, maladministration, misfeasance, negligence and management failures. The Commissioner’s Interim Report was a scathing indictment of an industry whose conduct (with rare exceptions) was inconsistent with its social licence and professed values. In summary, 2018 was an entertaining, embarrassing, dramatic and often traumatic year for those of operating in financial services. I understand why some are dreading 2019. This year will see the publication of the Commission’s Final Report and Recommendations, increased activity from embarrassed regulators and a lawyers’ feeding-frenzy of litigation and class actions. While the Commissioner’s recommendations are already subject to both speculation and apprehension, I think your time will be better spent focusing on the opportunities the BankingRC has identified for compliance professionals. In reality, 2019 will be a great year for Compliance Professionals. — G30, "BANKING CONDUCT AND CULTURE A Permanent Mindset Change"
If you’re a Compliance Manager that has not already recognised your responsibility for “culture” and reshaped your role accordingly, do so now. 'Culture' is neither the exclusive responsibility of HR nor the CEO. “Culture” is, fundamentally, the product of choices and consequences. Please appreciate that 'Culture' is an artificial construct; it may emerge organically but it's shaped, incrementally and inevitably, by the conscious choices of the participants - including the policies that govern employees and the diligence and consistency with they are policed. So this is your opportunity to build upon your governance responsibility and take a leading role in shaping the culture of your business, as well as the conduct of its directors, officers, employees and agents. It won’t be easy but you have the authority, the expertise and a degree of momentum transferred to you by the Royal Commission. Don’t waste this opportunity. In addition to a determined and independent mind, you’ll need resources and information. To your advantage, you are now well placed to influence (if not drive) your business’ relationship with regulatory technology and compliance platforms. Given the recurring, systemic and profound licensee failures paraded in the press, it’s curious that few commentators address the “capacity” of the licensees themselves. While advisers are pressed to adopt new systems, improve compliance and embrace professionalism, licensees cling to manual reporting, multiple spreadsheets and myopia. The opportunity for Compliance Staff is that, as a consequence of the Royal Commission, Licensees are finally embracing regulatory technology to reconcile compliance, productivity, liability and operational excellence. In fact, they’re now demonstrating an almost evangelical eagerness for granular analysis, comparative reporting and structured remediation. Implementing Reg-tech provides a singular opportunity for Compliance Managers to demonstrate that compliance is a strategic management discipline focused on sustainability, and not a bureaucratic exercise. Although it may have occurred without you noticing, Compliance now has a significant role in the management and security of information and client data. Compliance is also, in the more innovative businesses, providing the single, aggregated view of risk and taking a more productive and proactive management role. Although this shift may require you to supplement your technical and regulatory knowledge with expertise in Operations and Technology, your success will significantly improve the capability and competence of your Licensee. It may seem counter-intuitive to suggest that the Royal Commission’s focus on personal accountability and individual liability provides a benefit to compliance managers, but it does. Historically, Compliance has been a much lower priority for most Licensees than sales and business development. In an environment of timid and ineffective regulators, arguments based on sustainability, customer interests or obligations were dismissed as ‘lacking commerciality’ or given the minimalistic endorsement required to assuage reputational risks. The recent highly visible, “public shaming” of Executives has done more to change behaviour than all the Governance Codes and Papers published since 2000. While this momentum may be lost over time, or the impact diffused, without consequential actions, I think that the Commissioner has reframed public expectations of Executive conduct in a way that may encourage the emergence of a culture of real accountability. 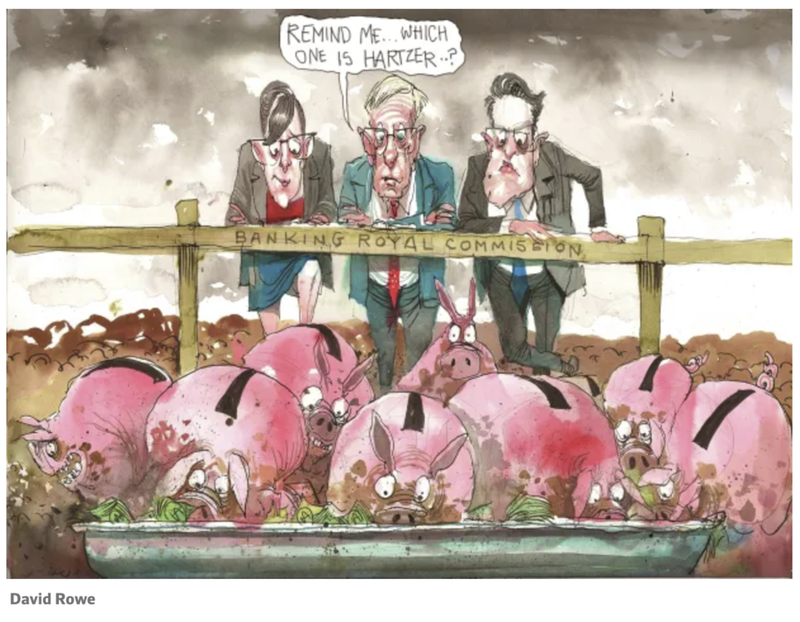 An effective and enforced accountability regime for senior managers in financial services is a likely consequence of the Royal Commission. An expectation of accountability has, it should be noted, been reinforced at a number of Bank Annual General Meetings. As AMP, NAB and ANZ learnt, shareholders used these events to express their condemnation of the culture and conduct exposed before the Royal Commission. Even if you, as the Compliance Manager, are a Senior Manager for the purpose of an accountability regime, this still presents a great opportunity for you. the education, reputation and connections to expertly handle regulatory engagement. Practically, your remuneration should increase to reflect the scope, authority and liability associated with your role and responsibilities. My advice to you is to be realistic about your control over the environments within which you operate, and understand the practical limits of your capacity. There’s no downside. Relax, and recognise that these changes are likely to provide you with an unprecedented opportunity to apply your ethics, insight and expertise to the success and sustainability of your licensee. 2019 could be very good year.